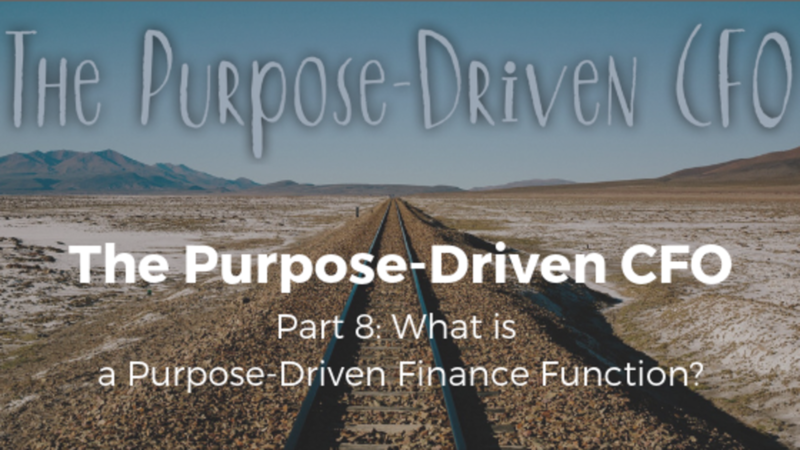 The Purpose-Driven CFO Part 8: What is a Purpose-Driven Finance Function? To date in this series, I’ve been picking activities that we do in the Finance function, and looking into why we do them. That’s the essence of my purpose-driven approach. 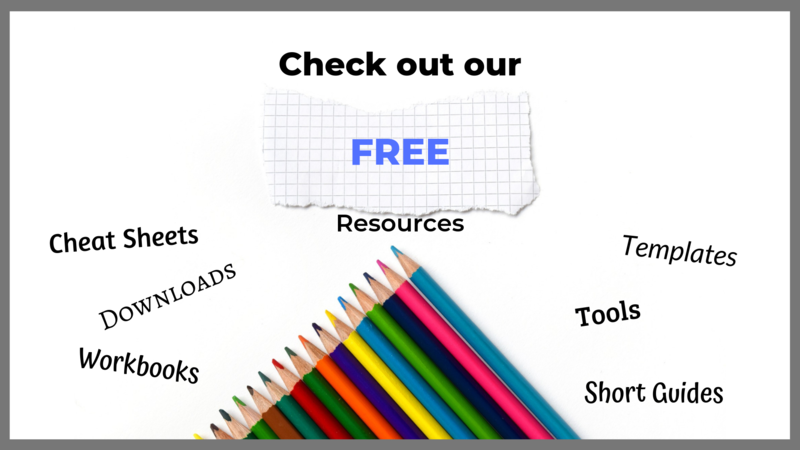 We’ve worked through some big ones, like budgeting, strategy, reporting, projects and internal control (and others - the links to all previous parts in the series can be found at the end of the article). What I’d like to do at this point in the series is to step back and take a look at the big picture. What does the Finance function exist for, if we were to sum it up? If we want to be “purpose-driven” in Finance, what does that mean? What is a purpose-driven Finance function? As a business grows, it employs Finance people in a variety of different capacities. Someone to do annual accounts filing and tax returns first of all (almost always outsourced to an accountancy firm), the bookkeeping, paying the bills, then the management accounts. Once the business grows in complexity to the point of needing more rigorous strategies and detailed financial analysis, it may then employ a CFO. Up to that point I would say that the Finance function is all still there, but performed by the business owner/manager and a few people she/he delegates to. There is no Finance team, but there is a Finance function. Once there is a CFO (or Finance Director, or even Head of Finance), they have a Finance team that takes control of the Finance function. Then how do we sum up what the CFO takes control of? To ask the question another way, once there is a CFO, what do the business owners – shareholders/investors – expect from them? Alongside the CEO, the CFO is expected by the investors to be responsible for the performance of the business. If the business doesn’t do well, who gets sacked? Not the IT Director or the HR Director? Most likely it’s the CEO and CFO. Some senior Finance people might complain that that’s not fair – it’s like shooting the messenger. But for a start, as I’ll come onto, I don’t think the CFO is just the messenger. And anyway, if that’s what the business owners employ someone to be responsible for, they’re entitled to expect them to put things in place to deliver on that. This all becomes a little clearer when we think about how the performance of the business can or should be managed. Not all businesses are clear on this, but we can break down “Business Performance Management” into eight elements, linked together. Now, this is going to look deceptively simple – so simple that you might just look at it and say, “And? So what?” My response is to say that if it’s so darned simple, why do so many businesses not manage performance properly?! There’s a central cycle: First we Plan (1), then we Execute (2), then we Measure (3), then we Analyse and Feed Back (4), so that we then take the learnings and Plan to improve, then Execute, Measure, Analyse, etc. That’s supported by what I call the Performance Environment. 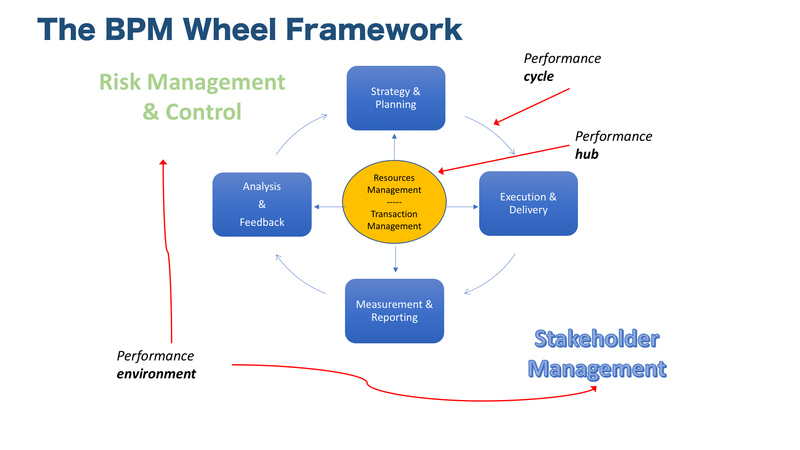 That includes Stakeholder Management (5) and Risk Management and Control (including Compliance) (6). In the middle, what keeps it all going, keeping it under control, is the management of Resources (7) and the management of Transactions (8). I’ve called this “Financial Control”, although I think you’ll agree I’m using the widest possible sense of the term. Resource Management includes both cash management (i.e. Treasury) and resource allocation (i.e. financial planning and budgeting). Transaction Management is the input and coding of transactions, the ERP system, the BI databases, etc. The thing to observe for the purpose of this argument is that Finance is naturally involved in each of the eight critical elements of Business Performance Management. The CFO is normally in charge of the planning (1), if not the strategy development that goes into the planning. Finance does most of the “measurement” (3), i.e. monthly management reporting. Finance is the team with the analyst skills to drill into the figures (4) to understand performance or to model scenarios… and to do that they have to understand “execution” (2). The CFO also supports execution by, for example, ensuring that change projects don’t get signed off unless they’re beneficial for the business. Finance also touches on all the main stakeholders in the business (5) – from the shareholders, to the banks, the customers (we normal invoice them and chase them for payment), the suppliers (we make sure they’ve delivered the goods/services before we pay them), the lenders, the auditors, the tax office, and so on. Finance also manages the resources (cash management and resource allocation) (7). And since Finance gets involved in all transactions (8), we’re normally the ones responsible for making sure they are enacted, recorded, controlled and reported as they should be (6) in order to reduce the risk of error. So, in short, Finance pretty much naturally already has involvement in almost all the key elements of the business performance management. And therefore, it makes sense that the CFO should be held accountable for business performance. Whether that’s really the reason that shareholders seek the head of the CFO when performance is bad, the analysis is helpful. Finance really does occupy a central, somewhat objective, position within the business – supporting it, yet able to hold its various elements and functions together. 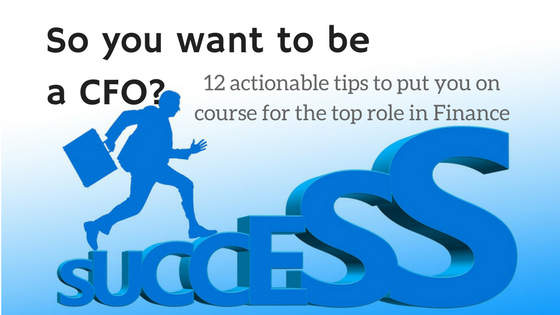 And we really do have access to the key elements, the key levers, in business performance. Finance gets to see the whole picture of the business like no other function within the business. The CFO needs a Finance team that leads and supports the business in each of the elements of business performance management. That’s why I believe that the purpose of the Finance function is to drive business performance. Throughout this series, my contention has been that purpose changes things. Knowing why we’re here and why we have to do certain things, changes the way we see them and the way we do them. So, having derived the purpose of Finance, what does that mean? So what? Our target is to improve business performance, not be the cheapest Finance function. The vision for Finance needs to be set in terms of its mission, so our vision is that the performance of the business is better with our conscious involvement than without it. How you measure that, I don’t know. All I know is that our vision shouldn’t be centred around being the cheapest, or even the most efficient. It should be centred around adding the most value to the business through being more thoroughly value-driven. Finance Transformation isn’t just about being the cheapest, but about adding the most value. If the way we see our mission changes the way we set our vision, then that changes the way we view transformation. Most Finance professionals believe that our functions need to transform, and so we jump on the Finance Transformation bandwagon. Arguably, most Finance Transformation programmes are about being the cheapest. I know that we always say we can reinvest process efficiency savings into “more value adding activities”. But since we never define what those more value adding activities are, I reckon in a lot of cases we don’t actually do that. 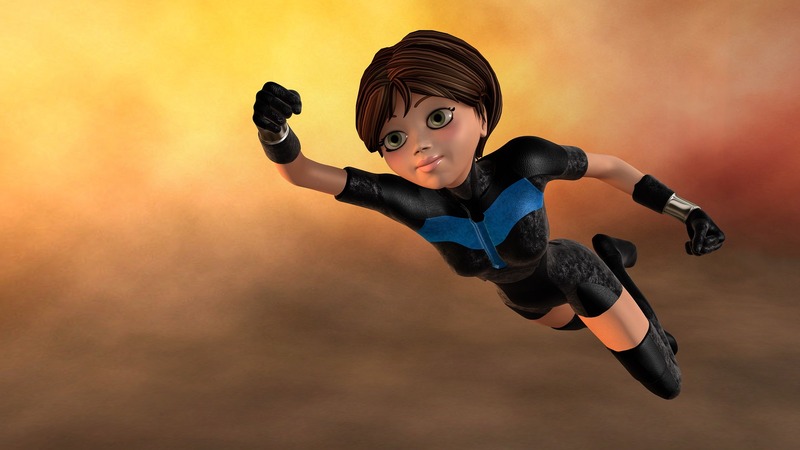 A Transformation programme that changes Finance from a processing, commentating and spectating function, to a performance-driving function – for me, that’s a paradigm-shifting transformation. It’s like a butterfly emerging from its chrysalis. Influencing, not serving. If we’re to drive the performance of the business, we, in our Finance teams, need to think wider and deeper about the way we engage with our businesses. We also need to influence further. We should stop seeing ourselves as merely servants of the business. Instead we should see ourselves as central to the business. I’d even say that we’re not business partners (although I continue to use the term). We’re an essential part of the business. This means not just commentating, not just spectating, not just jumping when managers request more and more data and analysis, not just finding clever ways to get businesses cases to work, not just allowing ourselves to tuck away accruals so that our management buddies can beat budgetary control. Serving is not the only way to be a business partner. Challenging isn’t either. Let’s also try coaching, teaching, controlling, influencing. 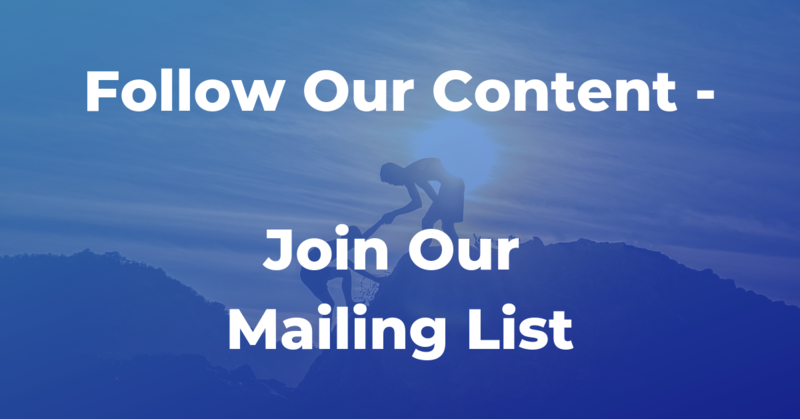 We’ve got to get out of our comfort zone of transaction processing, reporting and budgeting. We need to be stronger with investment approval processes, risk management, internal audit, investor relations, supplier relations, procurement, etc etc. Our voice needs to be strong in setting the agenda, not just serving the agendas of the various functions. Because we can see the whole picture in a way that they can’t. What other implications would you add? 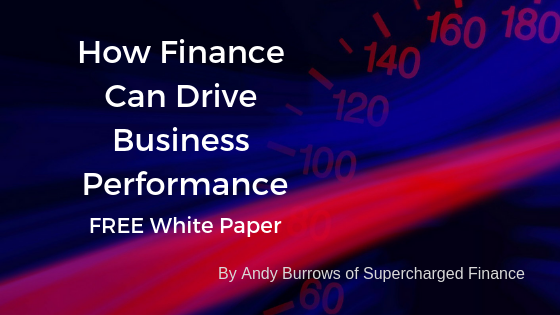 And as luck would have it, I've developed a little guide to help you to get to grips with that... How Finance Can Drive Business Performance. My now it should be clear that I believe the purpose of the Finance function, led by a Purpose-Driven CFO, is to drive and manage business performance, not just to spectate and commentate. That’s mainly because Finance is already involved in every critical element of business performance management, and therefore the CFO is expected to manage business performance alongside the CEO. In this article, I’ve introduced a deceptively simple model for business performance management, and given some indicators as to how we can start to plan towards a performance-driving Finance function in our own businesses. Please let me know your thoughts on all this. I’d be really interested to hear them. Keep a look out for more learning material from Supercharged Finance on this topic! And please see below if you want to find links to the previous articles in this series.